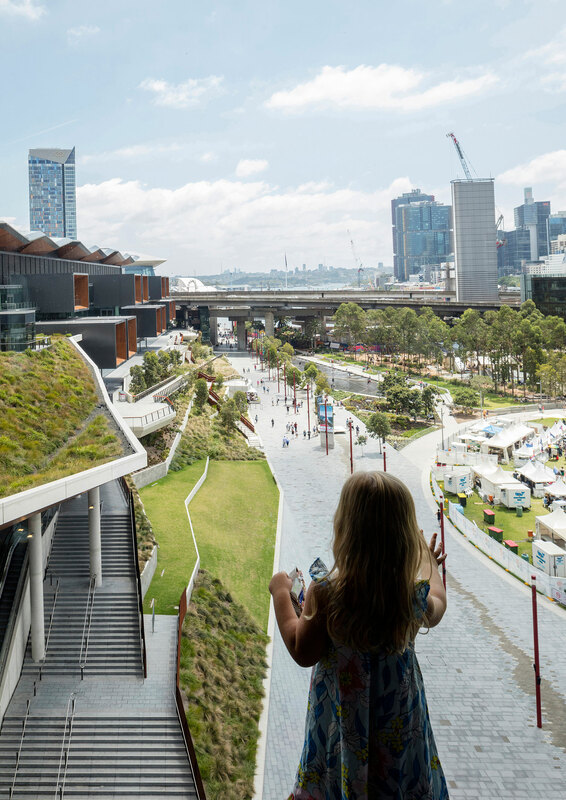 HASSELL: The transformation of Darling Harbour in Sydney, Australia, is the city’s most significant urban renewal initiative in 20 years – a once in a generation opportunity to remake a critical, central neighbourhood. 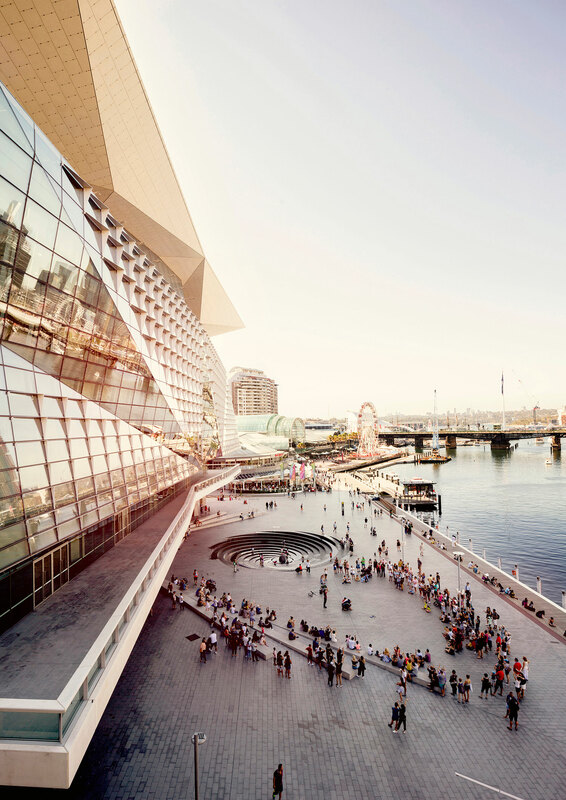 The harbour-side precinct is now home to the International Convention Centre Sydney (ICC Sydney) comprising three exceptional new venues, a luxury hotel – and a new mixed-use neighbourhood is on the way. 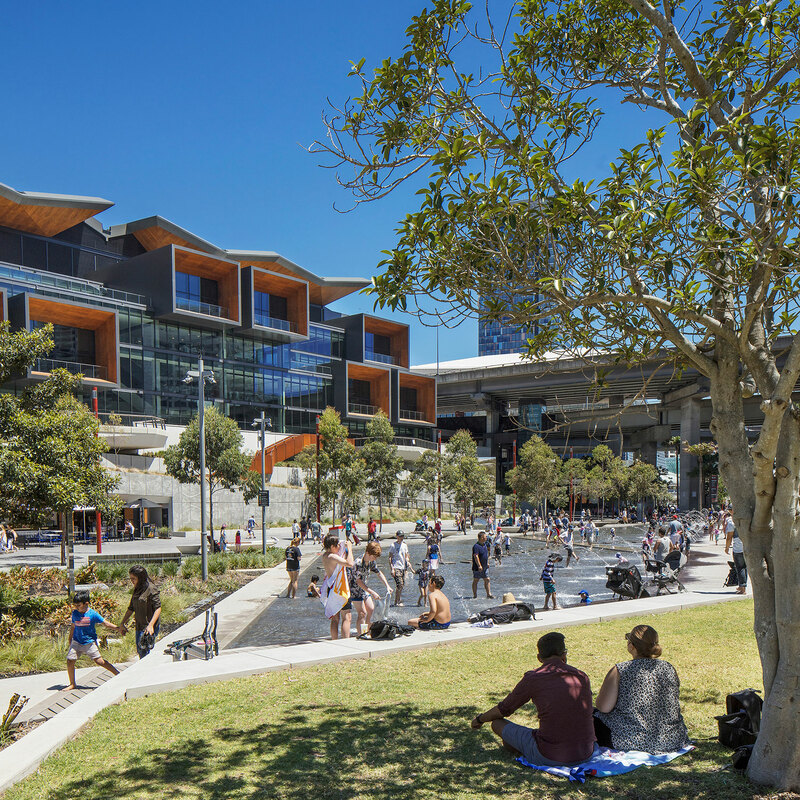 Working closely with iNSW and Lendlease, HASSELL delivered the urban design framework for the entire 20-hectare precinct and designed Darling Harbour’s public realm to better connect the city and offer new places for people to gather, relax and play. 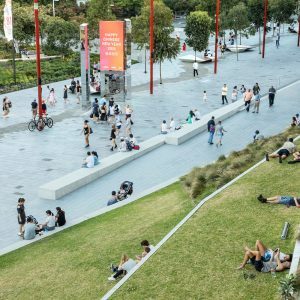 People were firmly at the heart of our design process for remaking Darling Harbour, says Angus Bruce, HASSELL Principal and Head of Landscape Architecture. 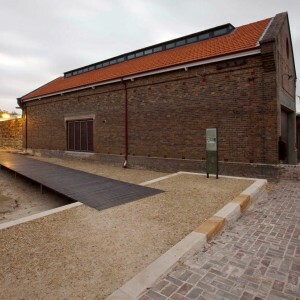 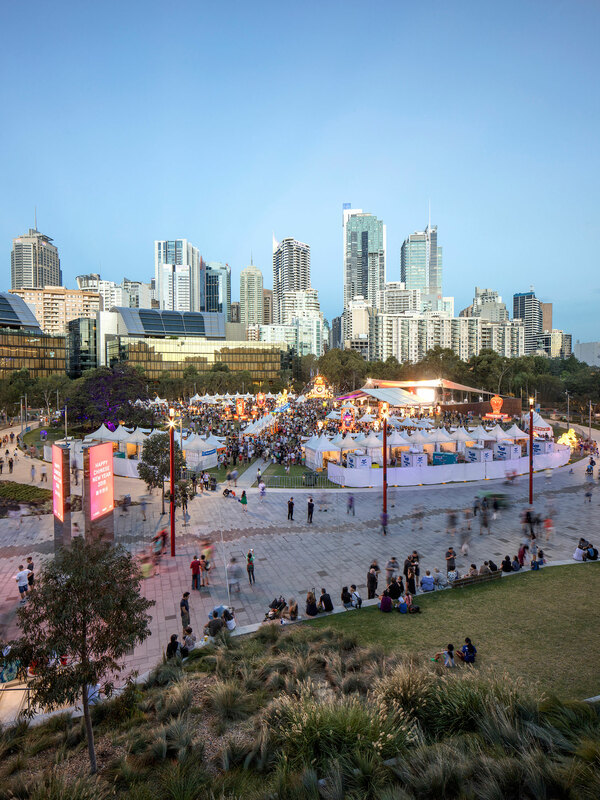 “Our clients envisaged a high-quality, open and flexible public realm that allows for the greatest variety of both casual uses and organised events. 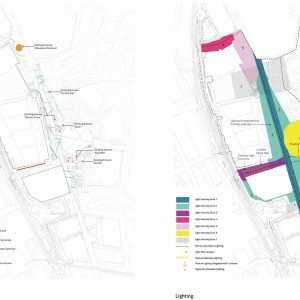 They wanted a place full of vibrant spaces that heighten the experience of visitors to the venues, while presenting as attractions in their own right,” Angus said. 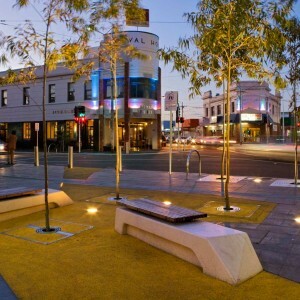 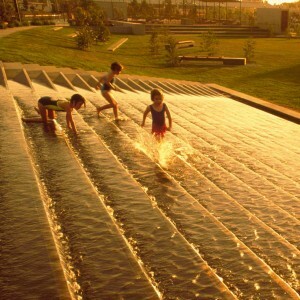 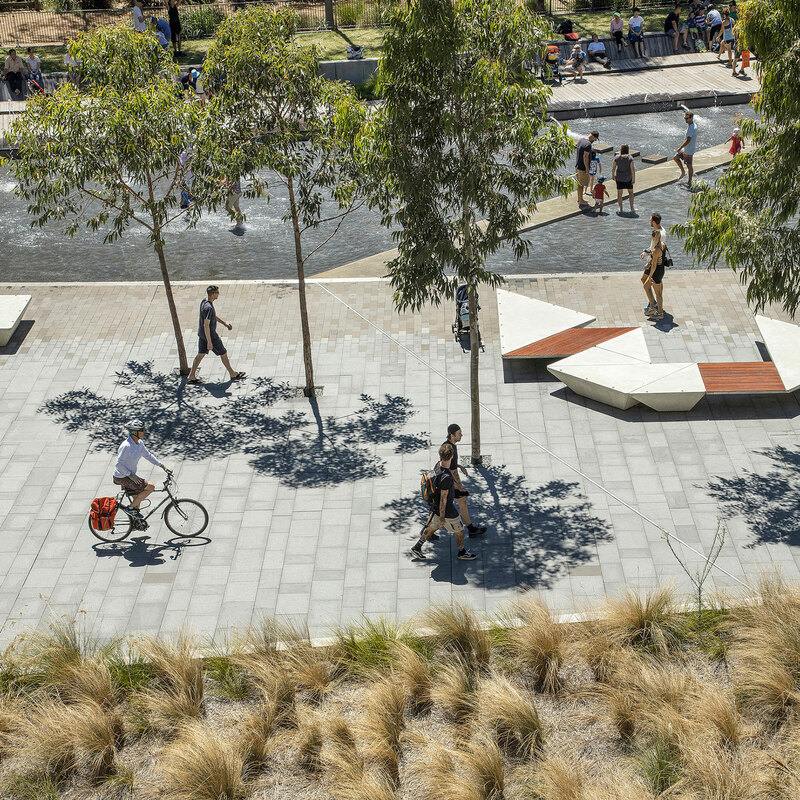 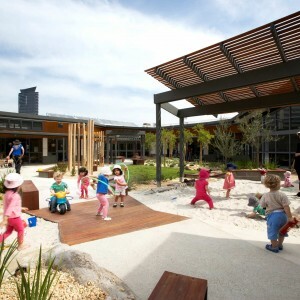 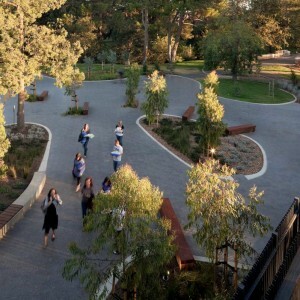 By reinvigorating parklands, integrating landscapes and open space and incorporating water features, public artworks, plazas and event spaces, HASSELL has created opportunities for events and activities as varied as open-air concerts, circus events, market stalls and busking – and simple pleasures like splashing in shallow pools. 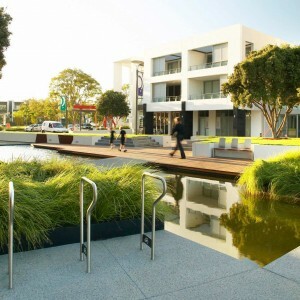 “We wanted to both ‘wow’ first-time visitors and delight those who use the space the most – the local community of workers and residents – and keep them coming back,” said Angus. 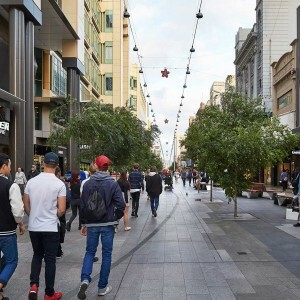 Improved pedestrian, cycle and public transport connections now make it easier for people to access the precinct’s previously disconnected immediate neighbourhoods, the harbour and the Sydney city centre. 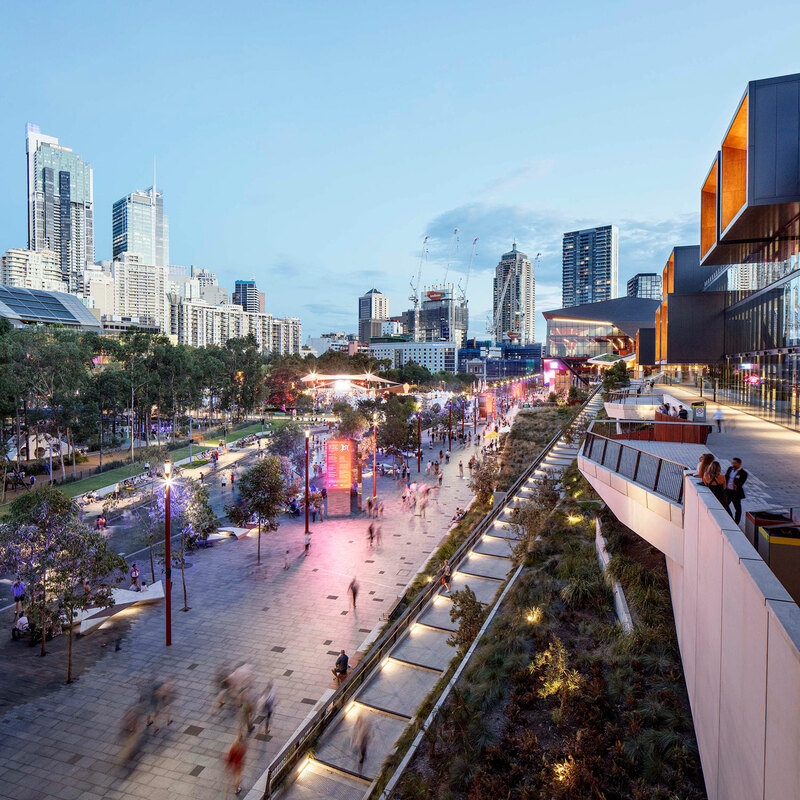 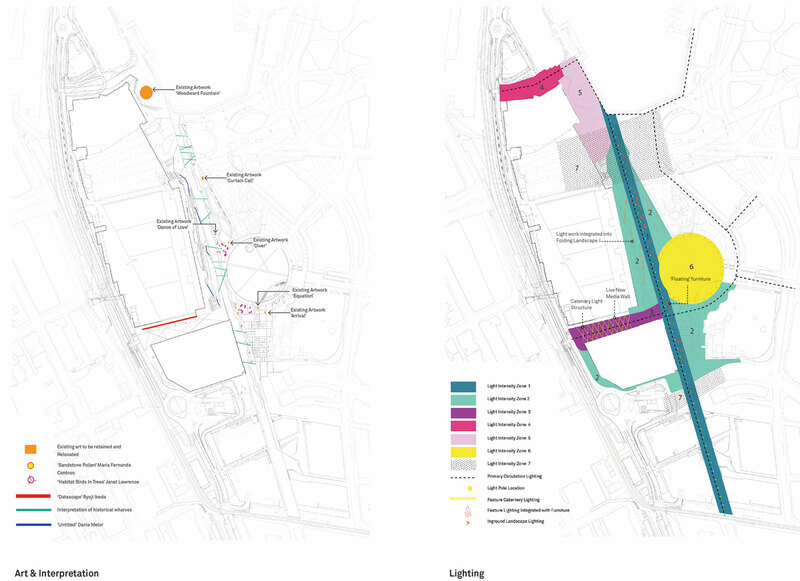 Darling Harbour’s public realm was delivered through a close, interdisciplinary collaboration. 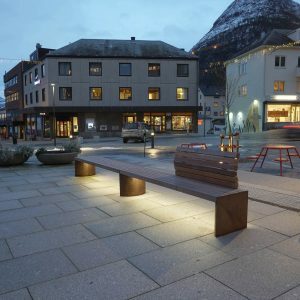 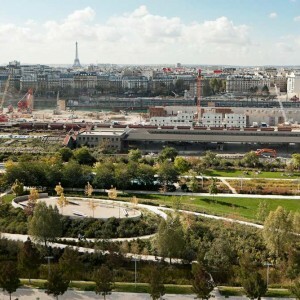 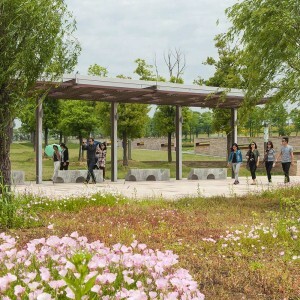 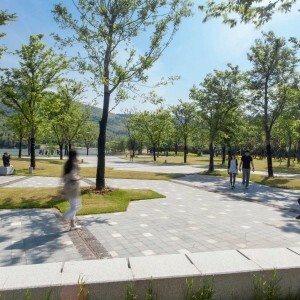 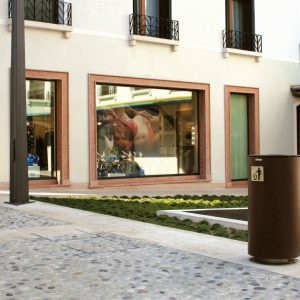 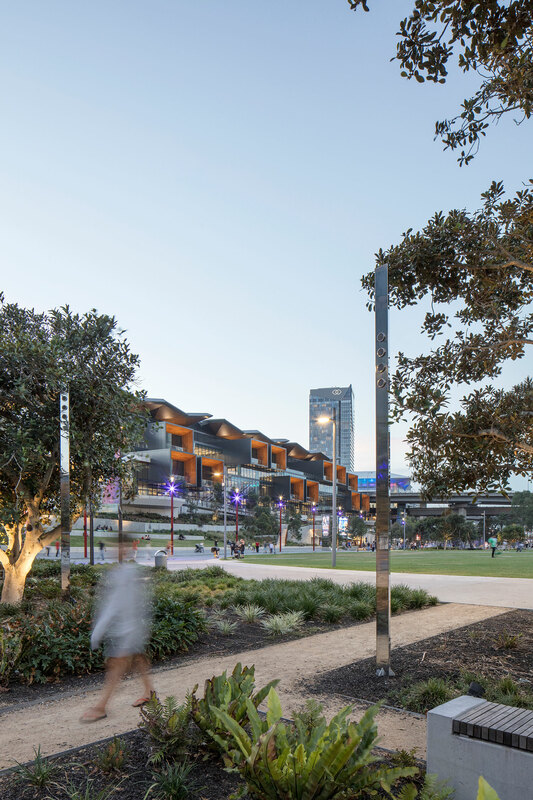 This approach enabled an elegant design that integrates the public landscape and customised artworks with the architecture – maximising the public open space, cultural features, connectivity and views. All three ICC Sydney buildings are united through their continuous landscape base, terraces and materials. 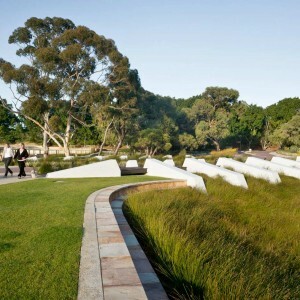 The landscape blends seamlessly with the surrounds and encourages permeability of the wider area. 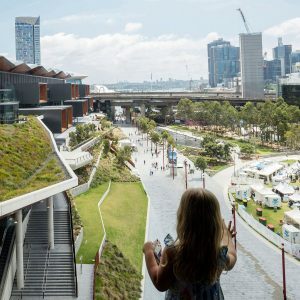 It integrates with the ICC Sydney Exhibition building façade to deliver a terraced landscape, elevated event deck and expansive native grassland green roof, connected by pathways and platforms that overlook the precinct. 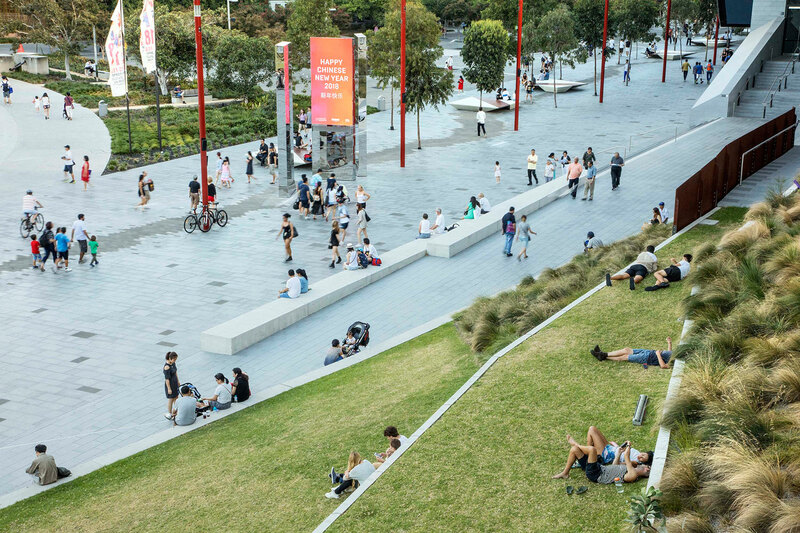 By creating more inclusive and engaging new places and improving existing locations, Darling Harbour’s appeal has increased with locals and visitors alike – generating ongoing social, economic and environmental benefits for Sydney. 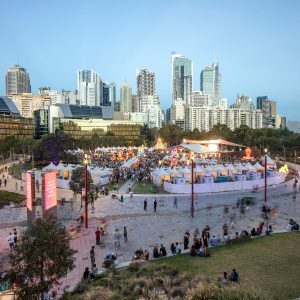 _A dynamic events destination with three major public venues and Tumbalong Park as a high-capacity, open-air event space – now 40 per cent bigger and complete with a stage, event screen and improved lighting. 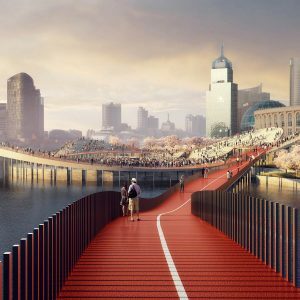 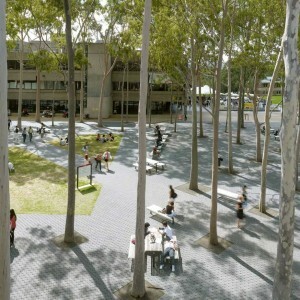 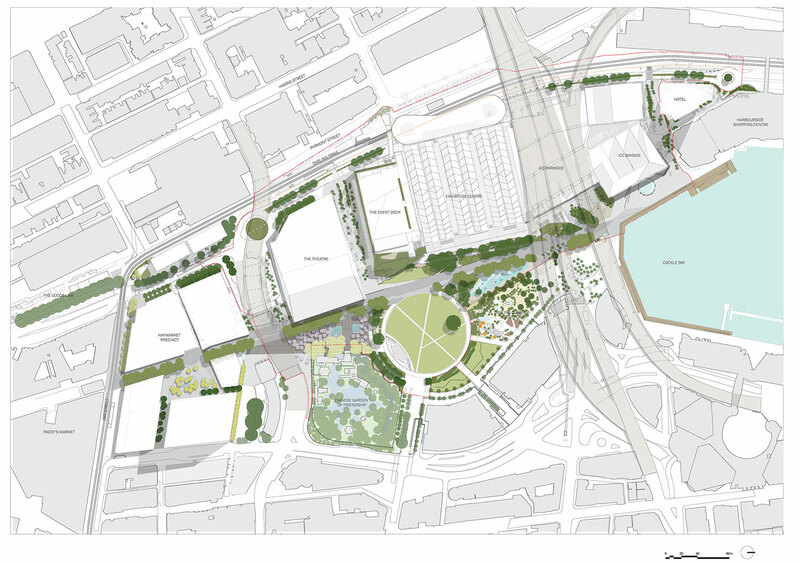 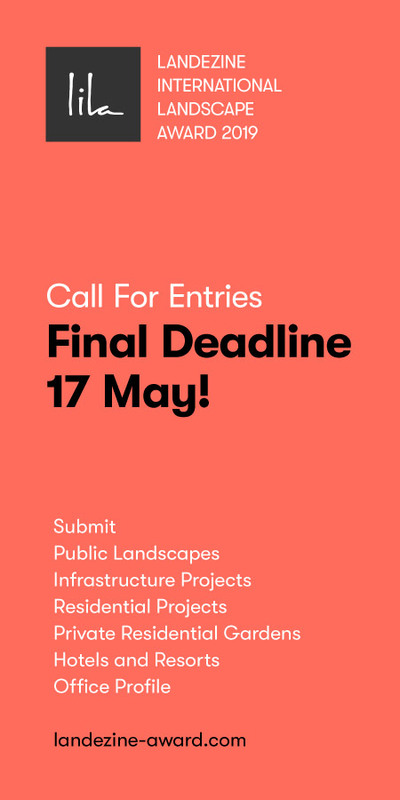 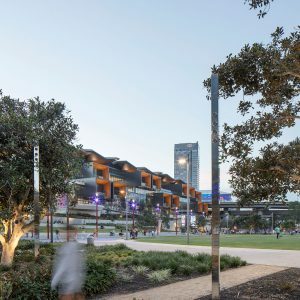 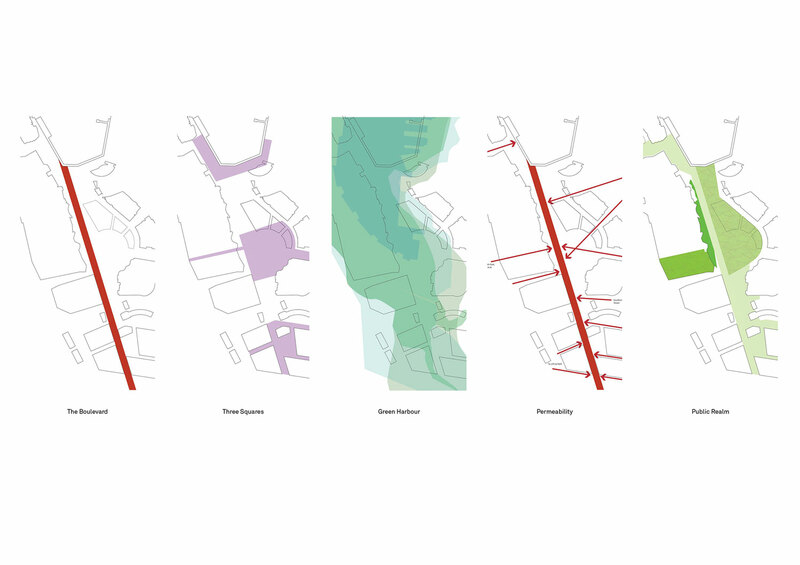 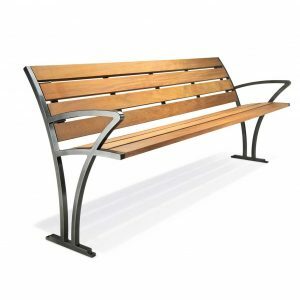 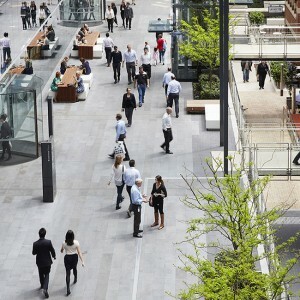 _A connected precinct with an enhanced network of lanes and streets, including The Boulevard – a 680 m-long, Eucalypt-lined promenade that anchors the entire site and extends the pedestrian connections between Central Station and Cockle Bay. 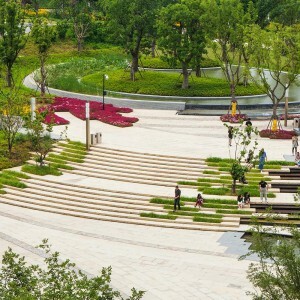 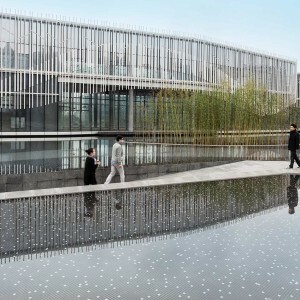 _More diverse public experiences in engaging new urban spaces, such as the Chinese Garden Plaza – a forecourt to the existing Chinese Garden of Friendship with shallow water pools for children’s play that switch off to make way for market and event day installations. 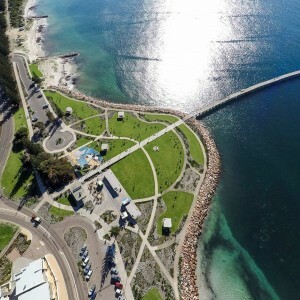 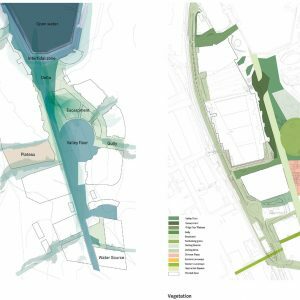 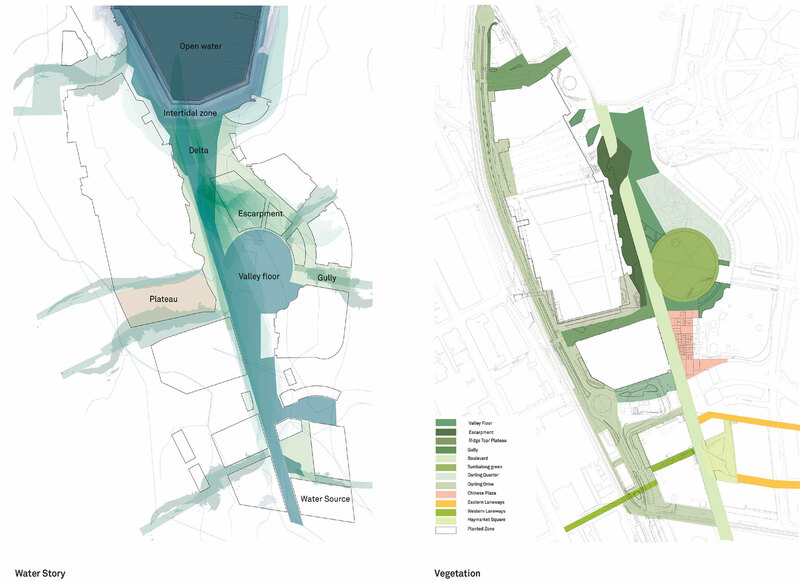 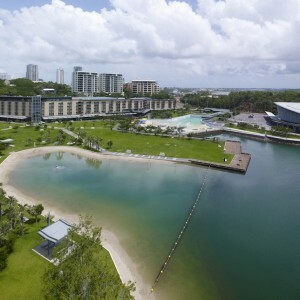 _A greener harbour with 650 new trees and 9,000 sqm of additional green space, improving amenity and habitat through the extensive use of native species. 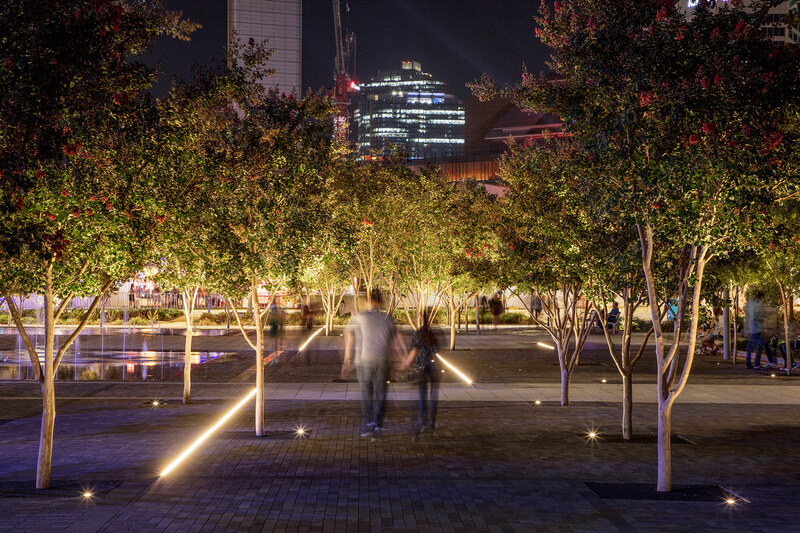 Crepe myrtle has also been used as a nod to neighbouring Chinatown. 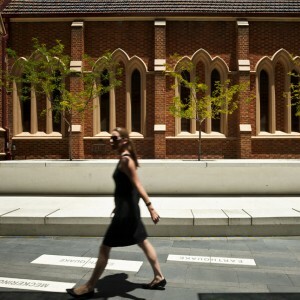 _A distinctly ‘Sydney’ experience. 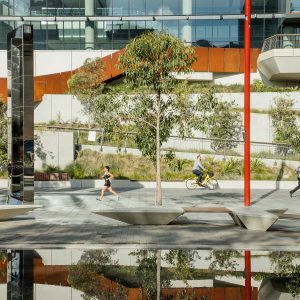 The stories of Darling Harbour come alive through a wide range of curated artworks and interpretative landscape features inspired by the site’s history and ecology. 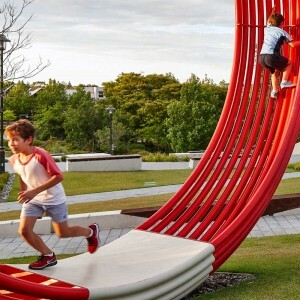 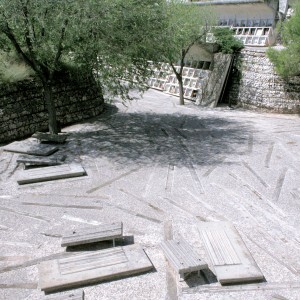 Sculptures, audio and visual installations, including a 600 sqm mural of indigenous flora embedded in the walls of the terraced landscape, provide new points of fun and intrigue. And active water fountains, including the renovated Robert Woodward fountain ‘Tidal Cascades’, celebrate the waterfront location. 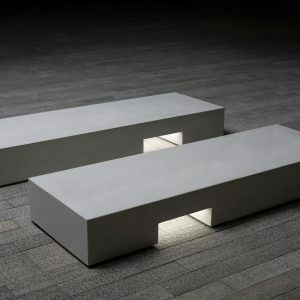 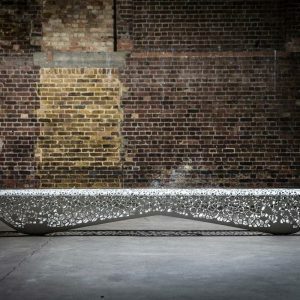 “Both large-scale ‘big bang’ and smaller fine-grain artworks were integrated from the beginning of the design development following an extensive curation process,” says Angus. 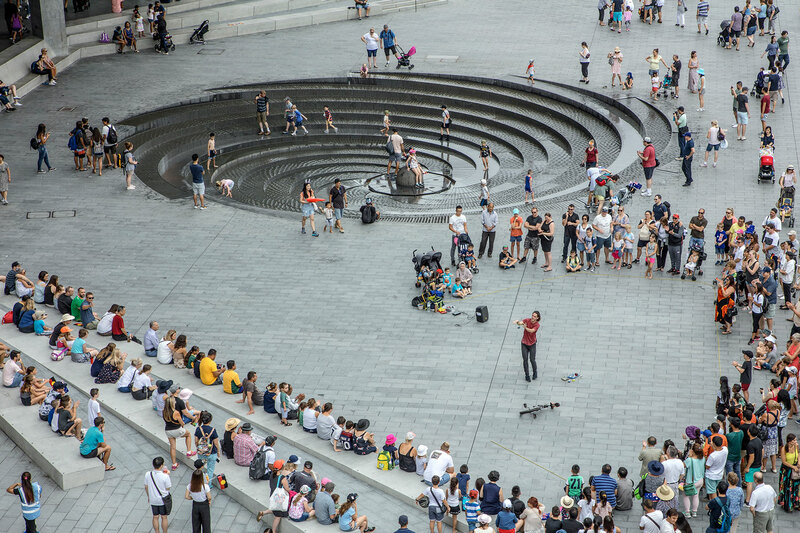 “We were looking for works that allowed for layers of exploration and imagination. 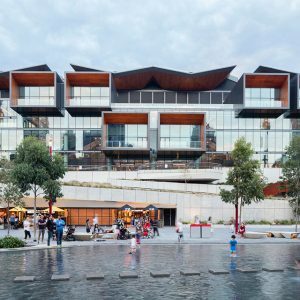 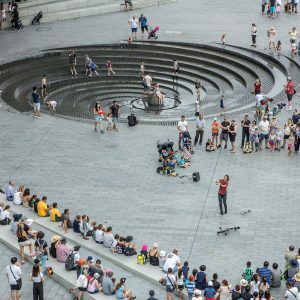 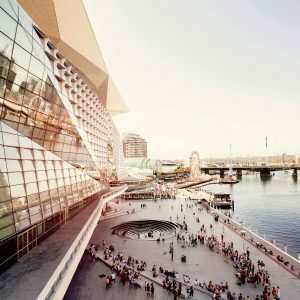 Each piece is truly unique, with some telling stories both literal and ephemeral of Darling Harbour’s rich history, and others stretching your mind to scales beyond that of the site and place,” he said. 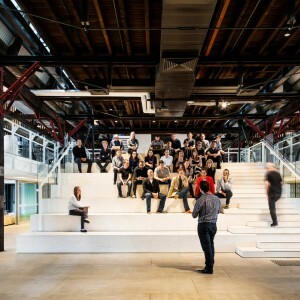 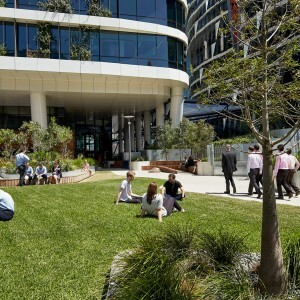 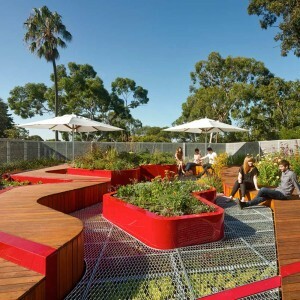 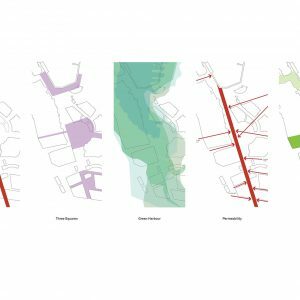 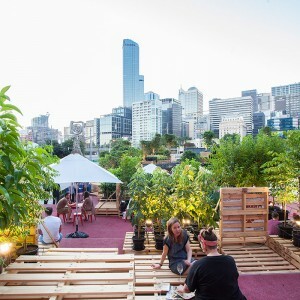 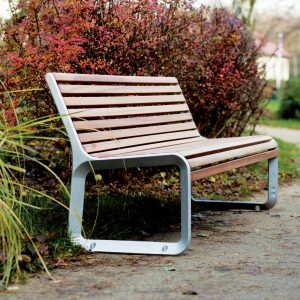 The transformation project also embraces the City of Sydney’s wider sustainability goals for open spaces through integrated WSUD solutions, green spaces and improved walkability. 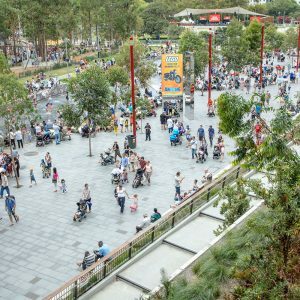 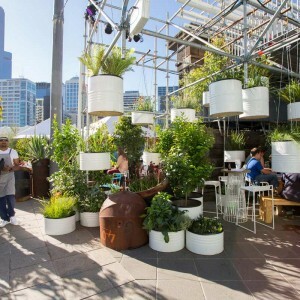 It has delivered 30 per cent more public space for Sydney’s inner-city, and has received a 6 Star Green Star Communities rating from the Green Building Council of Australia. 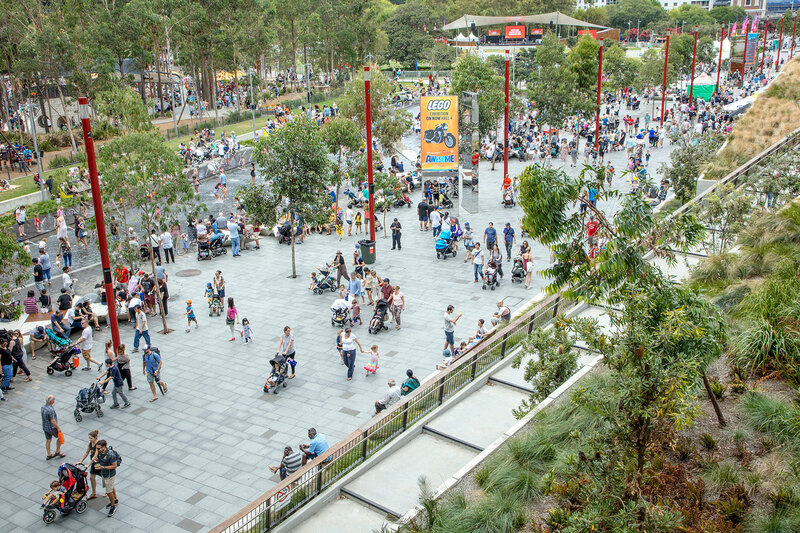 The revitalised public realm is turning Darling Harbour into one of the world’s best places to live, learn, meet and be entertained – a place that people want to return to, time and again. 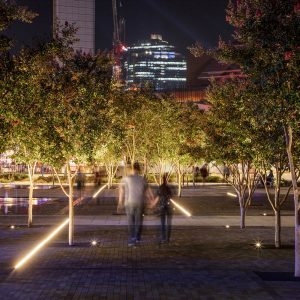 data.scape provides an immersive, sensory experience installation by Ikeda, one of Japan’s leading electronic composers and visual artists. 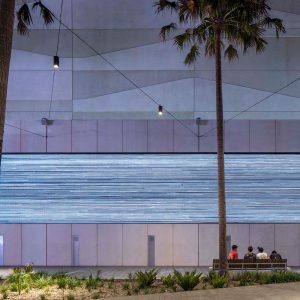 The ten-metre-high and 96-metre-long audio-visual piece is integrated in the south facing wall of Tumbalong Place, with thousands of LED modules forming a large video screen which, by day shows the DNA sequences of the human genome, while at night a vast map of stars precisely plot the earth within its solar system. 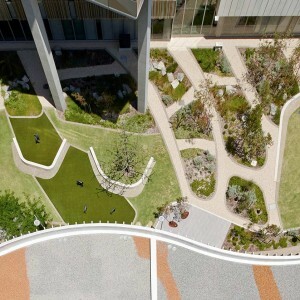 The micro-to-macro perspective of the artwork puts the precinct and scale into an alternate context. 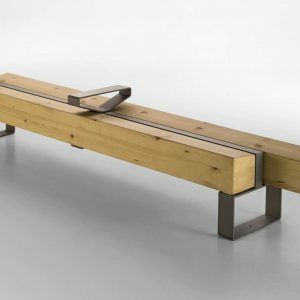 Maria Fernanda Cardoso is fascinated by the ways in which geometry is manifested in living things. 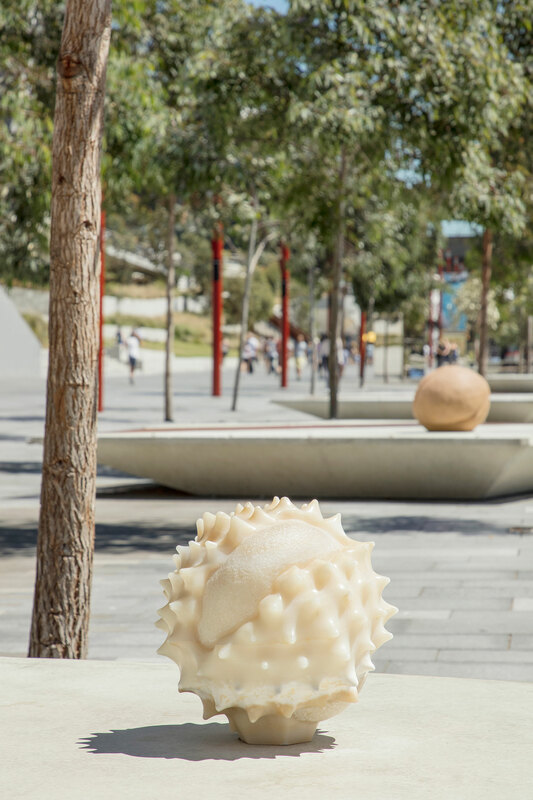 Inspired by the diversity of pollen grains found in the environmental report on the pollen history of the site, Cardoso’s work is a series of sandstone sculptures along The Boulevard. 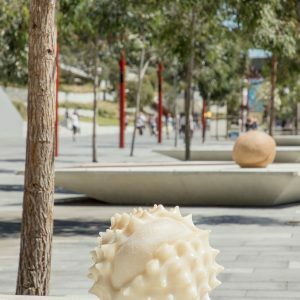 Through her sculpture series, Cardoso hopes the public will learn that each grain of pollen is uniquely shaped and discover the history of Darling Harbour and Cockle Bay. 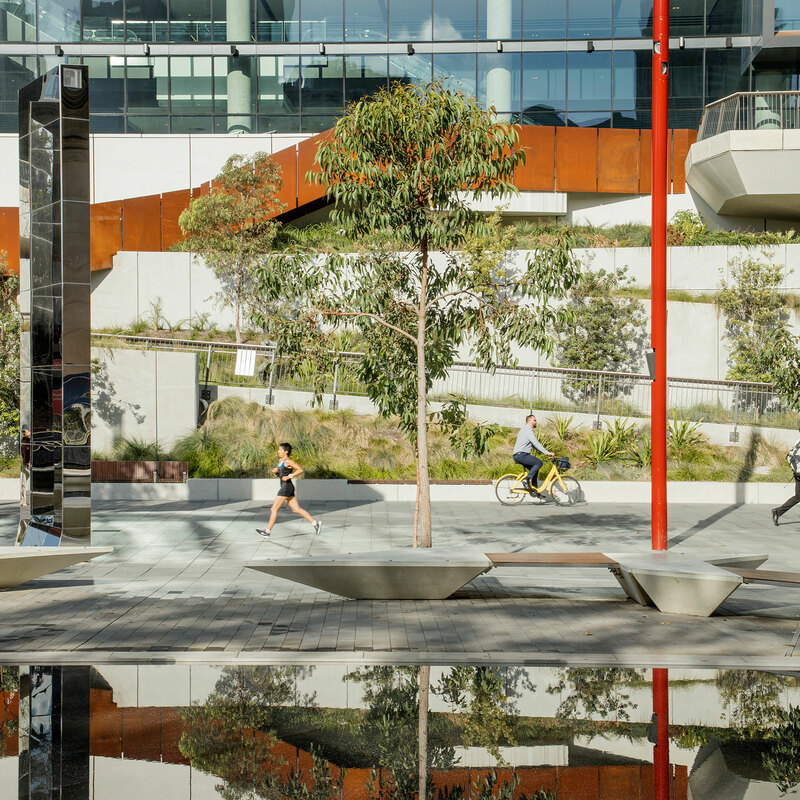 Danie Mellor’s artwork reflects the indigenous flora of Darling Harbour in murals generated using large-scale photographically produced imagery, impressed into the site’s concrete retaining walls. 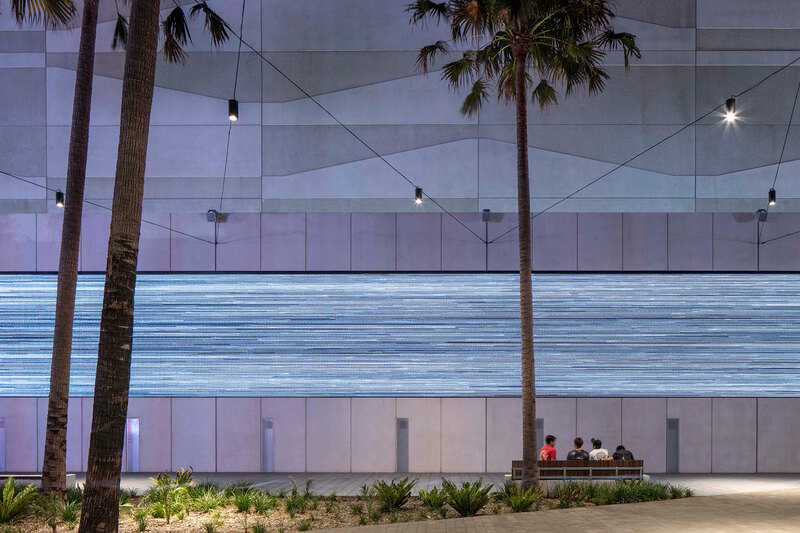 With a pearlescent effect to create a ghostly and distinctive presence at night, the murals display a variety of plants, such as mangroves, eucalypts, casuarina and cabbage palm trees, and delicate exotic species of ferns and orchids. 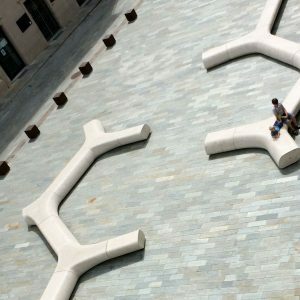 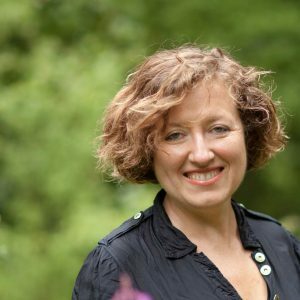 The sounds of the natural world, and our interconnection with nature, are at the heart of Janet Laurence’s experiential artwork, which respond to the site’s ecology and plants by producing bird sounds along The Boulevard. 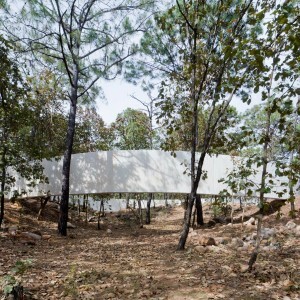 The sounds have been taken from recordings of a large flock of circulating corellas, as well as the calls of the grey butcher bird, grey shrike-thrush and magpie. 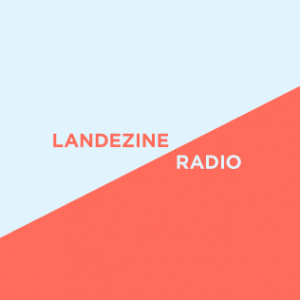 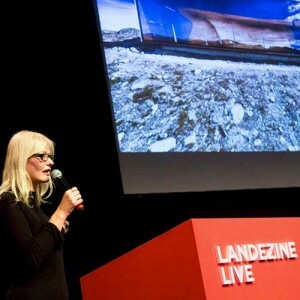 Laurence’s practice creates immersive environments that explore the interconnection of life forms and ecologies and observes the impact that humans have on the threatened, natural world.